Annie McDee, alone after the disintegration of her long-term relationship and trapped in a dead-end job, is searching for a present for her unsuitable lover in a neglected secondhand shop. Within the jumble of junk and tack, a grimy painting catches her eye. Leaving the store with the picture after spending her meager savings, she prepares an elaborate dinner for two—only to be stood up, the gift gathering dust on her mantelpiece. But every painting has a story, and if it could speak, what would it tell us? For Annie has stumbled across The Improbability of Love, a lost masterpiece by Antoine Watteau, one of the most influential French painters of the eighteenth century. Soon Annie is drawn unwillingly into the art world and finds herself pursued by a host of interested parties that would do anything to possess her picture. For an exiled Russian oligarch, an avaricious Sheika, a desperate auctioneer, an unscrupulous dealer and several others, the painting symbolizes their greatest hopes and fears. In her search for the painting’s true identity, Annie will uncover the darkest secrets of European history—and in doing so she will learn more about herself, opening up to the possibility of falling in love again. 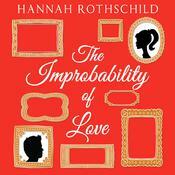 Irreverent, witty and sharply sweet, The Improbability of Love explores the confusion and turmoil of life and the complexities of love, loss, and hurt, revealing the lows to which human nature can stoop and the heights to which the soul can soar. Annie McDee, alone after the disintegration of her long-term relationship and trapped in a dead-end job, is searching for a present for her unsuitable lover in a neglected secondhand shop. Within the jumble of junk and tack, a grimy painting catches her eye. Leaving the store with the picture after spending her meager savings, she prepares an elaborate dinner for two—only to be stood up, the gift gathering dust on her mantelpiece. But every painting has a story, and if it could speak, what would it tell us? For Annie has stumbled across The Improbability of Love, a lost masterpiece by Antoine Watteau, one of the most influential French painters of the eighteenth century. Soon Annie is drawn unwillingly into the art world and finds herself pursued by a host of interested parties that would do anything to possess her picture. For an exiled Russian oligarch, an avaricious Sheika, a desperate auctioneer, an unscrupulous dealer and several others, the painting symbolizes their greatest hopes and fears. In her search for the painting’s true identity, Annie will uncover the darkest secrets of European history—and in doing so she will learn more about herself, opening up to the possibility of falling in love again. 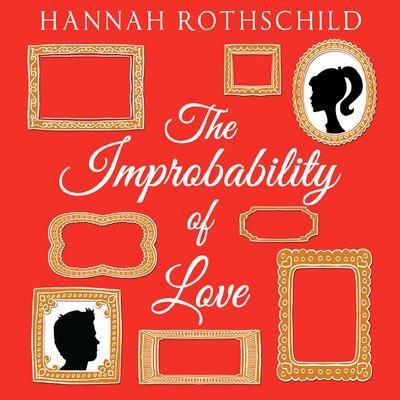 Irreverent, witty and sharply sweet, The Improbability of Love explores the confusion and turmoil of life and the complexities of love, loss, and hurt, revealing the lows to which human nature can stoop and the heights to which the soul can soar. Hannah Rothschild is a director, a novelist, and writer who has written for British Vanity Fair, Vogue, the London Independent, and the Spectator. Her documentaries have appeared at film festivals including Telluride and Tribeca. She conceived and directed The Jazz Baroness, a film about her great-aunt and Thelonious Monk, which was broadcast by BBC and HBO in 2009. She is vice president of the Hay Literary Festival and trustee of the National Gallery and Waddesdon Manor.